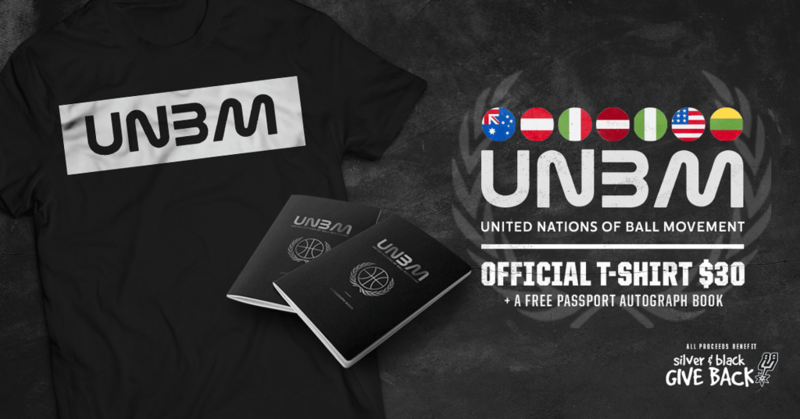 In honor of the International Day of Sport for Development and Peace, we are selling limited-edition United Nations of Ball Movement (UNBM) t-shirts. These shirts represent and celebrate the diversity that make up our San Antonio Spurs team. With your purchase of a shirt, you will also receive a UNBM Passport Autograph Book and all proceeds benefit Silver & Black Give Back.